During the summer school, it struck me that teaching young boys ballet, compared to girls, are worlds apart. Forget Mars and Venus, try a different solar system. Ballet, in its natural form – of gradual progression from barre to centre – rests more comfortably with a girls’ nature. Seven-year-old boys find standing still nigh-on impossible, unless it is part of a game, or competition. Our DNA is to blame; we are buffalo hunters. Like hunters, stillness is achieved in pursuit (the game), followed a sudden burst of energy (the reward). Sport taps into these primitive drivers naturally. When training our young athletic artists, I believe we can learn a lot from how sport engages with boys. Sport’s training emphasises drills, of performing simple steps in repetition with little break, chewing energy and bolstering competitiveness. Simple props – like cones -- are used to encourage engagement through fun learning. And a sports whistle would be hugely beneficial in a studio packed full of lads; it easily attracts attention, without compromising the coach’s tonsils and dignity (I am only half joking). Central to Project B was former principal dancer (friend and past colleague at Birmingham Royal Ballet) Iain Mackay’s engaging choreography. Set over four sections and accessed through the RAD’s website, Mackay’s dance challenges the viewer to learn his steps and upload themselves. It was inspired by his son and borrows many popular culture motifs, such as “the dab” (a hip-hop move turned trendy sports celebration); Usain Bolt’s “Lightning Bolt” celebration; Transformer poses; and playful muscle flexing. I was tasked with teaching parts of Mackay’s Project B choreography and quickly found myself corrected: “No you don’t do ‘the dab’ like that!” -- another lad interjected -- “To do it properly, you have to sneeze into your elbow.” O-boy, these young lads knew the moves better than me . . . and they had been practising – unprecedented! When marketing products to young male dancers, like Project B’s choreography, the pitch needs to attract existing and potential customers. Hip hop rules dance’s male demographic at present. It is masculine, contemporary and cool. Mackay’s choreography is similarly appealing. And importantly, it’s something that ballet-resistant dads will associate with. When we are converting boys to ballet, we must acknowledge the father-son relationship. Ninety per cent of the time the scenario is: an open mum, yet dad is worried about what his mates will say at work. In the UK, Project B has raised debate over where ballet’s sales pitch should rest. Some commentators decry the use of “macho” references to attract boys to dance. “I believe we need to ditch superheroes and instead showcase a range of performers across the gender spectrum,” says UK academic Chris Marlow. My view: I see ballet, out of all art-forms, as a positive exemplar of advocating sexual inclusiveness and challenging gender stereotypes. Yet, there is a time and place for everything. Will promoting these ideals in this embryonic environment attract fathers and sons to ballet? Um, no. Is it fine to highlight that ballet can be cool and masculine as well? Bloody oath! One thing everyone agrees on, is that Project B is a great and needed initiative for our community. To give you some perspective, out of the RAD’s quarter of a million students examined world-wide, only 1.8% are male; which is abysmal. In the lead-up to the RAD’s centenary year in 2020, the organisation would love to raise that figure to around 4-5 per cent. In ballet, girls are a constant stream, boys are waves. As popular media influences depart – like So You Think You Can Dance? – so do boys. Back in my day it was Leroy from Fame (I am showing my age), who sparked an upsurge -- followed by a famine. Creating a more constant stream can only be manufactured from within. That is why it is great that Project B’s message seems to be connecting with popular media. Who knows, maybe the next Billy Elliot will be inspired while watching. Photo: Lawrence and the boys line up. 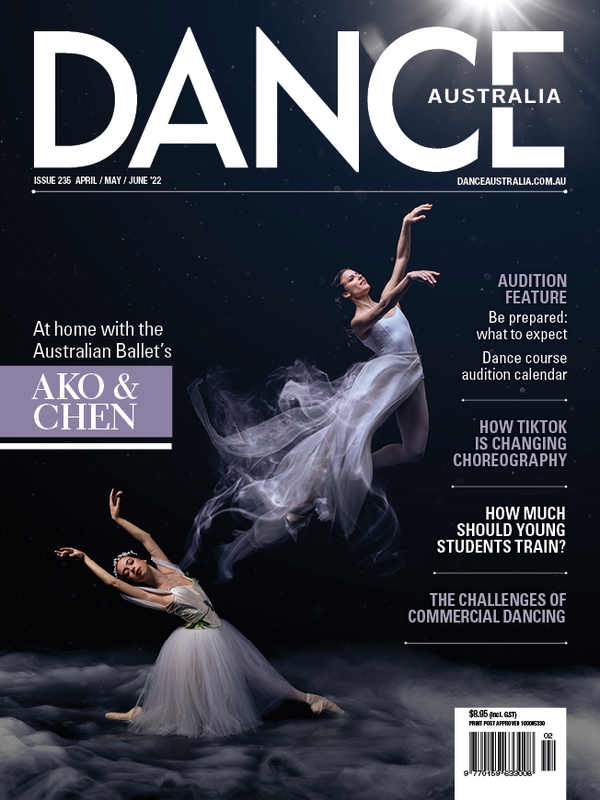 This article first appeared in the April/May issue of 'Dance Australia'.